You'll marvel at the spectacular views from your coach window as your train climbs the steepest railroad tracks in North America. It's an exciting and unforgettable experience for the whole family. 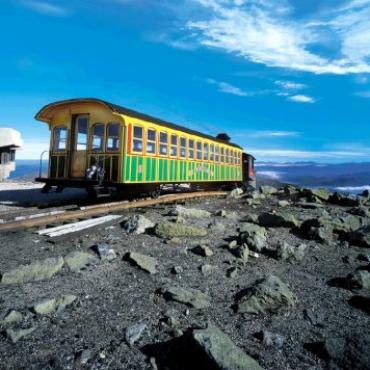 The Cog Railway is one of the world's great railway adventures. The track runs up a three mile-long trestle with a maximum gradient of over 37%, making it the second-steepest mountain climbing train in the world and the only one entirely built on a trestle. 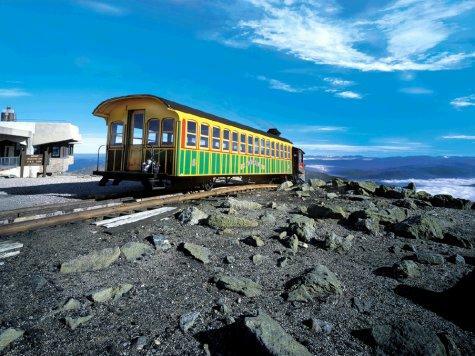 You can spend the whole day at The Mount Washington Cog Railway. There's a fascinating museum, a large gift shop and a restaurant at the Marshfield base station. The round trip to the summit takes three hours. On the summit, you can visit New Hampshire's unique mile-high state park and the Mount Washington Observatory Center and Museum. 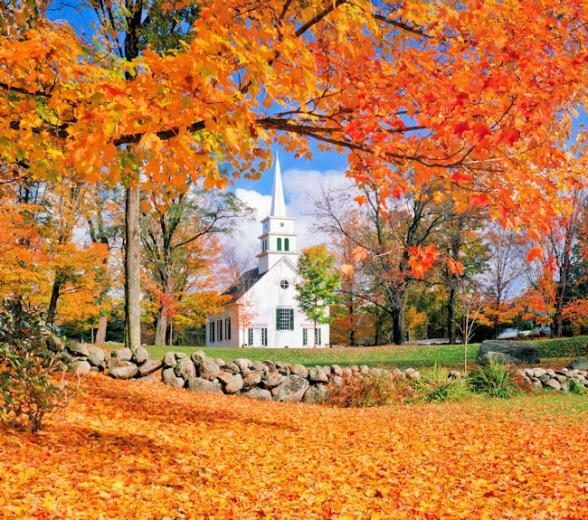 The Cog operates May-November, and as you can imagine, it's glorious during the fall season. Departs from Bretton Woods, New Hampshire. Call Bon Voyage to pre-book your Cog experience.